Every summer something special happens at the DMA. 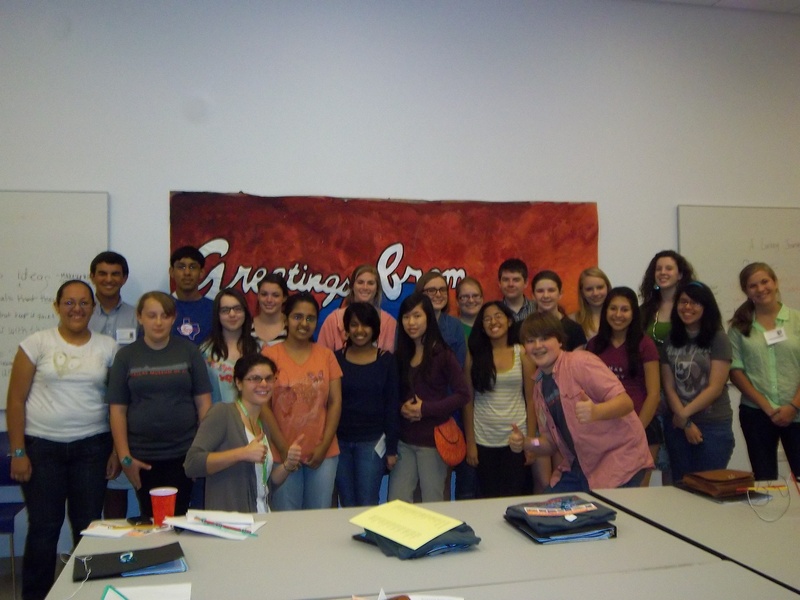 High school students from around the DFW area lend us their free time to participate in our annual Teen Docent program. Celebrating ten years of summer fun, the Teen Docent Program offers an invaluable experience for teenagers, ages 14-18, to learn about art, sharpen their speaking skills, and interact with younger students in the galleries. Teen docent Jennifer Mayen discussing Miguel Covarrubias's "Genesis: The Gift of Life"
This summer we have eleven returning students and thirteen fresh faces, and it’s easy to spot all of them in their official “uniform,” which includes a gray Dallas Museum of Art t-shirt and a Teen Docent badge. Most often you’ll find them around the Museum carrying a docent bag full of fun supplies and guiding a group of students on an Animal Safari or A Looking Journey tour. Other times, you may see them helping out on weekends with Family Experiences programming like Studio Creations and Collections Connections, or pitching in with program hits like First Tuesday or Late Nights. What a great answer! Teen docents are not only summer tour lifesavers, but they help create a fun, learning environment for younger audiences. It is the teenagers’ willingness to learn about the Museum and share their enthusiasm with younger students that makes this program work. 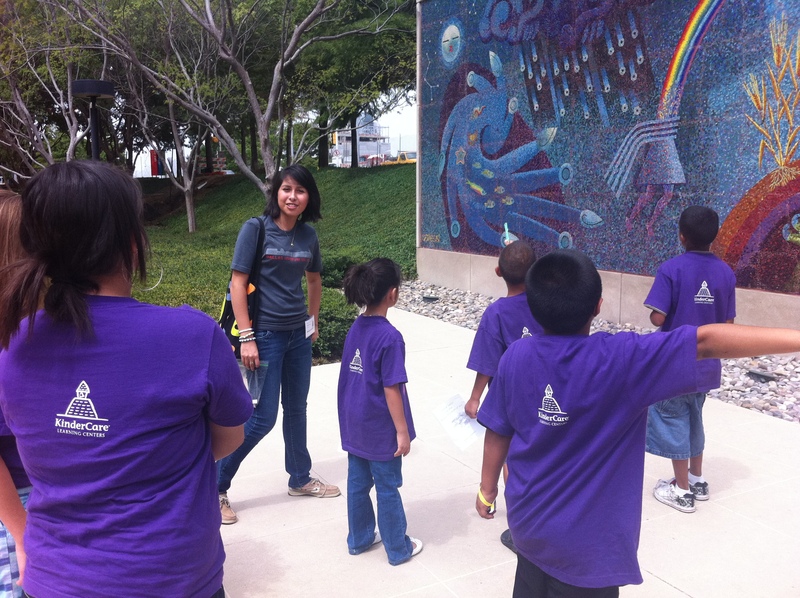 For the past ten years, the Teen Docent Program has become an integral part of our summer programming. I commend all the volunteers that have donated hours of their cherished summer time, and I hope to see many of them next summer. 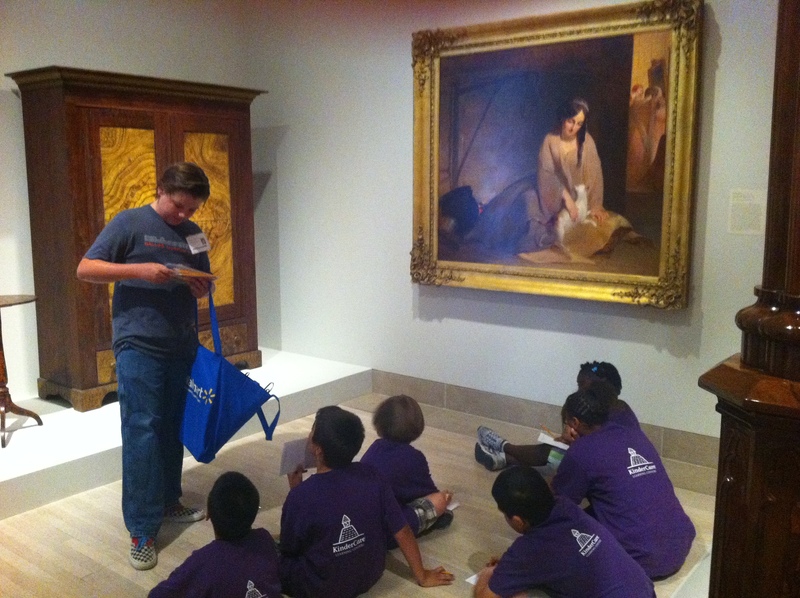 Have been hearing about this teen docent program…wonder if some of these teens would like to further their docent experience by volunteering for the Dallas Art Dealers Association docent program on Sept. 24, 2011? Great idea, Lisa! We’ll be in touch.